Nourish and Waterproof your leathers. 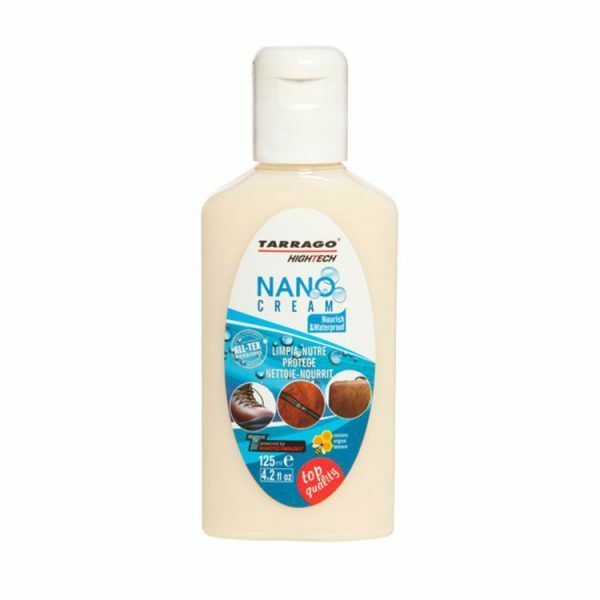 This is another excellent product from Tarrago. It is a nourishing cream that waterproofs and repels dirt. This product is to be used on leather that has a finish not suede or nubuck. One really good aspect of this cream is that it doesn't affect the breath ability of the leather. It contains original beeswax which softens and nourishes the leather. Can also be used on Gore-Tex to provide high protection. 125ml, 4.2 fl oz.